Twelve-year-old Jessie is in for a long summer at her aunt and uncle's house. Her cousin Ann has a snotty new best friend, which leaves Jessie all alone. But Jessie is industrious, and—not content with being ignored all summer—she convinces Wes, a grouchy neighborhood dog walker, to take her on as his apprentice. Sure, dog walking turns out to be harder than she expected, but she has Wes's dog-walking code, the Rules of the Ruff, to guide her, and soon she's wrangling her very own pack. 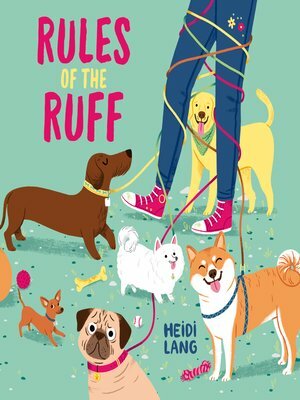 But when a charismatic rival dog walker moves to town, she quickly snatches up most of Wes's business—and Jessie decides she isn't going to take this defeat with her tail between her legs.